There are two groups of metal forming equipment, one used for hot, the other for cold forming. While hot forming machine tools (hammers, screw presses) use high kinetic energy for the metal forming, where part of this energy is dissipated into the ground causing there rather high vibration levels, however, in case of the cold forming process it is the sudden release of the stresses - built up in the press frame during the pressing operation - when cutting through the material (blanking). 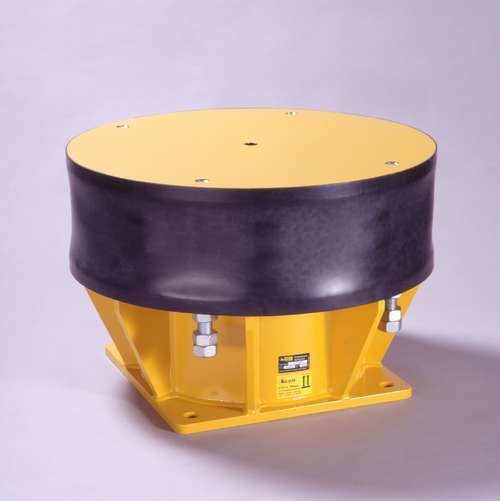 In both cases GERB can provide special Spring-Viscodamper® combinations, which allow today direct spring support of the equipment whereas in the past quite massive foundations were necessary. 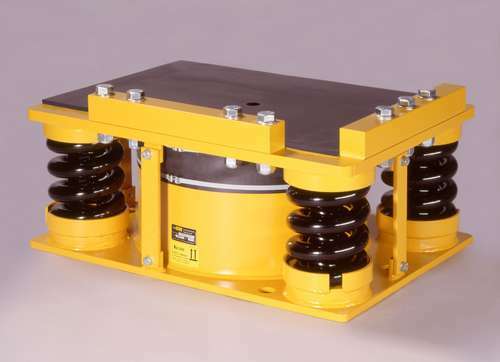 The vibration control effect compared to a conventional installation may reach in these cases up to 90 % depending, however, to a certain extent on the subsoil conditions, but will reduce the vibration levels in the neighbourhood below the threshold of human perception in most cases.